CSIR Answer Key 2019: UGC NET Final Answer Key 2019 is available now for Council of Scientific & Industrial Research (CSIR) UGC NET Final Exam 2019. The exam was organized by Council of Scientific & Industrial Research (CSIR) . 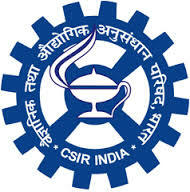 CSIR UGC NET Final Answer Key 2019: Council of Scientific & Industrial Research (CSIR) has issued the Answer Key on 04 Apr 2019 for Council of Scientific & Industrial Research (CSIR) UGC NET Final Exam 2019. Answer Key can be accessed from the link given below. CSIR NET Dec 2018 Answer Key 2019: Council of Scientific & Industrial Research (CSIR) has issued the Answer Key on 21 Jan 2019 for NET Exam 2018. Answer Key can be accessed from the link given below. CSIR UGC NET Exam Question Papers & Answer Keys 2018: Council of Scientific & Industrial Research (CSIR) has issued the Answer Key on 28 Nov 2018 for CSIR UGC NET Exam 2018. Answer Key can be accessed from the link given below. CSIR NET June 2018 Answer Key: Council of Scientific & Industrial Research (CSIR) has issued the Answer Key on 02 Aug 2018 for the exam. Answer Key can be accessed from the link given below. CSIR UGC NET Dec 2017 Question Papers & Answer Keys: CSIR has issued the Answer Key on 16 Jan 2018 for CSIR-UGC NET Dec 2017 Exam. Answer Key can be accessed from the link given below. CSIR Answer Key for CSIR-UGC NET June 2017 Question Papers & Answer Keys is available now which can be accessed from the link given below.